Portable Bluetooth speakers are cord-free, waterproof, and ideal for use in the shower, at the beach, poolside, or anywhere with splashing water. Along with serving as a dependable speaker, many of the options below can also be used to answer calls and can quickly connect to other devices through wireless Bluetooth streaming. 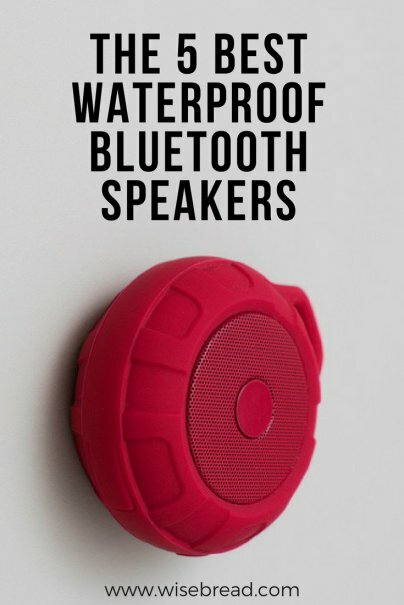 What is a waterproof Bluetooth speaker? Amazon's #1 best-seller in bookshelf speakers, the AOMAIS Sport II Portable Wireless Bluetooth Speaker 4.0 is one of the toughest speakers on the market thanks to a rubber exterior that protects from scratches and impact. It has high-fidelity audio with dual drivers and twin subwoofers for 20W clear, immersive sound and balanced bass. It is fully waterproof, snowproof, dustproof, shockproof, and can pair with two speakers or through an AUX cable. The durable design offers up to 12 hours of playtime. You can also answer calls using the hands-free function. This is backed by more than 2,300 five-star reviews on Amazon and a 12-month warranty. It is available in two colors and includes a micro USB charging cable. The AOMAIS Ball Bluetooth Speaker is another best-selling option from the trusted brand. 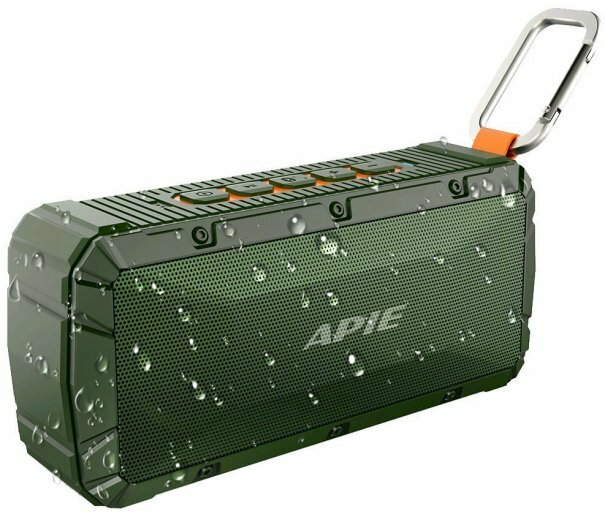 Amazon's #1 best-seller in satellite speakers, the APIE Portable Wireless Outdoor Bluetooth Speaker has dual 10W high-performance drivers and passive subwoofer. The hands-free speakerphone has up to 10 hours playback time and can be used to answer calls. The durable, rugged speaker has a range of 33 feet. It also has enhanced bass and full, high-definition sound with impressive volume and clear sound quality. It has more than 2,000 five-star reviews on Amazon. It comes with a USB charging cable, AUX cable, and D-style hook. 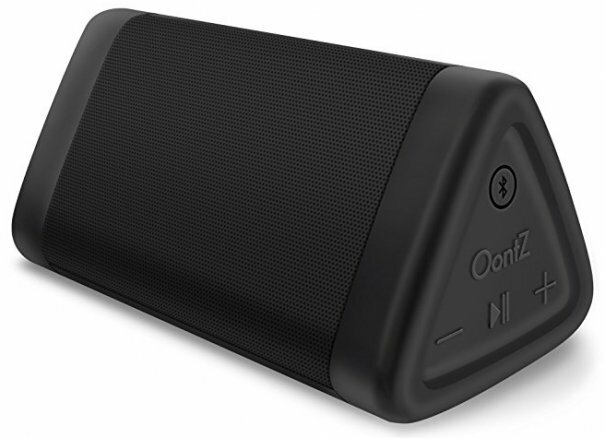 Amazon's #1 best-seller in portable Bluetooth speakers, the OontZ Angle 3 Portable Bluetooth Speaker is water resistant, dustproof, and sandproof. The weatherproof speaker has up to 12 hours play time. Two precision acoustic drivers and 10W of peak output power deliver high-quality sound, louder volume, and enhanced bass. The triangular design has no square edges, so it's easy to carry. It can also be used as a wireless speakerphone. This has nearly 25,000 five-star reviews on Amazon and is frequently recommended online. It includes a micro-USB charging cable and AUX audio cable for additional connection options. The OontZ Angle 3 Plus Edition 10W Portable Bluetooth Speaker is also an Amazon's Choice Product. 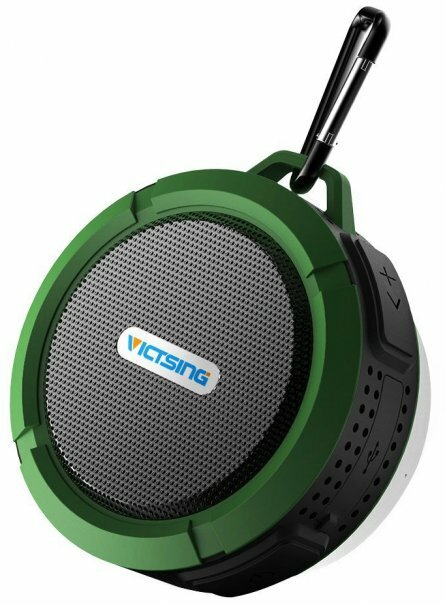 The VicTsing Shower Speaker is waterproof, shockproof, and dustproof. The 5W speaker offers clear sound and full range output. The durable speaker offers fast charging and up to six hours of playtime. You can also answer phone calls using the hands-free function. The Amazon's Choice Product is recommended by Tom's Guide and has more than 4,500 five-star reviews on Amazon. It's available in various colors and comes with a USB cable, aluminum alloy metal hook, and a detachable suction cup on the back so it can be easily attached to any smooth surfaces. 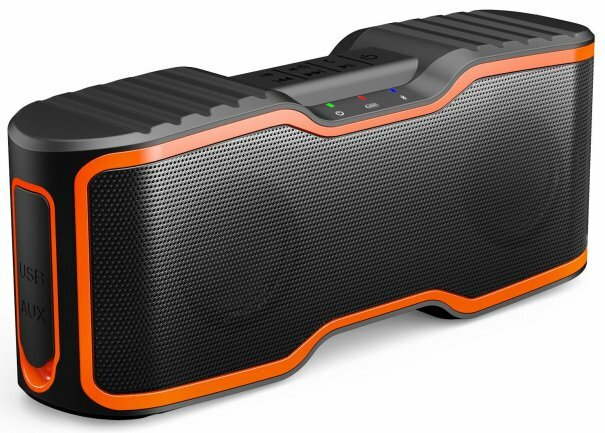 The JBL Flip 4 Waterproof Portable Bluetooth Speaker is truly the best that money can buy. The durable weatherproof speaker can even be submerged in water. It can wirelessly connect to up to two devices and can link to other JBL Connect+ devices. Dual external passive radiators offer high-quality sound, louder volume, and enhanced bass, with up to 12 hours of playtime. The built-in noise and echo-canceling speakerphone can also be used to make calls. It can also easily be used to talk to Siri or Google Now. This is recommended by CNET, Tom's Guide, and Forbes. It's also backed by more than 2,500 five-star reviews on Amazon and is available in a range of colors. If you're looking for something even more rugged, consider the FUGOO Tough Go Anywhere Speaker instead. And those are our recommendations for the best waterproof Bluetooth speakers. As always, be sure to check Wise Bread's Buying Calendar to learn when and how to buy just about anything!